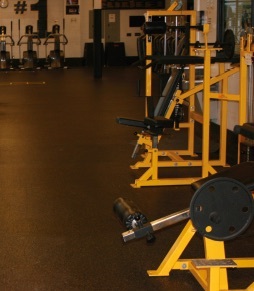 One of the top concerns of fitness center users is the cleanliness and safety of the facilities. Cleaning is often done infrequently by staff who do not have the correct equipment or procedures to prevent and kill these highly contagious bacteria and viruses that can endanger the health of fitness center users. The last thing you want clients to leave your fitness center with is a bacterial infection (such as Staph or E. coli) or a virus such Hepatitis and Influenza. These infections have become more common in fitness centers as users sharing exercise mats, weight rooms and locker rooms end up sharing and spreading sweat and other body fluids with skin-to-surface contact. The Germbot™ is a great solution to address this concern. The Germbot™ is a battery powered floor sanitizer that uses UV (Ultra Violet) light to provide a low cost, highly effective, and highly portable sanitization solution to kill dangerous bacteria and disable the reproductive ability of viruses - thereby improving the sanitation, health, and safety of the floor surfaces used by fitness center members. 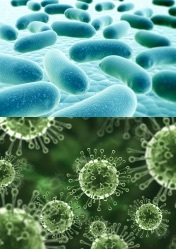 UV light for sanitization kills bacteria and disrupts the DNA structures of viruses. Breakthrough technology and the use of UV LED's provide you with a highly efficient, easy to use, battery powered floor sanitizing device. These units are available for sale for only $1295. Provide members with peace of mind, keep your floors cleaner, reduce the amounts of toxic chemicals being used, and keep clients healthier by using the Germbot™.